With all our heating engineers being Gas Safe accredited and certified we can offer expert advice and delivery on a wide range of central heating projects. We have a wealth of experience within our heating team and pride ourselves on delivering excellent service to Taunton and the surrounding areas. We carry out every aspect of heating system works, we install full central heating systems, boiler and radiator changes or repairs to your existing system. We also have a dedicated service engineer who services and repairs boilers on a daily basis. Masterplumb are a registered Oftec and Gas Safe company. It means that our dedicated servicing engineer is fully qualified and up to date with regulations. We can carry out work on oil, LPG or natural gas. Up to 10 years warranty! 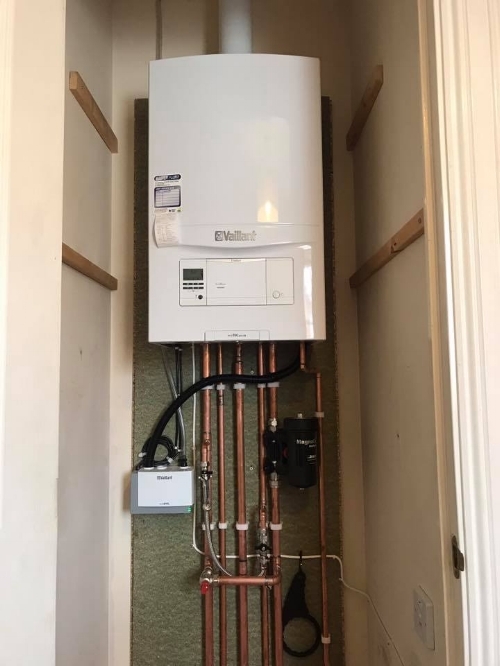 As acreddited Installers we are pleased to be able to offer 10 years warranty on Vaillant boilers which will cover you against the cost of any repairs or replacement - Leaving you with peace of mind. Vaillant is the second largest boiling and heating service supplier in Europe with hundreds of thousands of boilers being installed each year. Since day 1 of installing Vaillant we haven't looked back, now installing on average 75 top quality boilers a year.